Coolant Manifolds provide a localized connection point for coolant lines when installing multiple heat exchangers. It’s an easier and more secure way of plumbing. 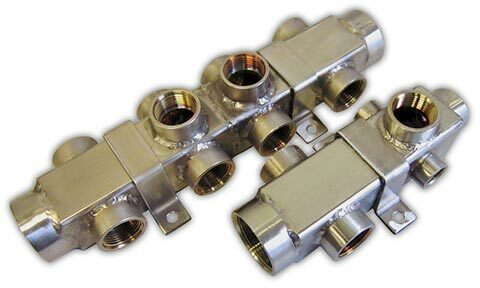 The manifolds are made of stainless steel for maximum durability and protection against any possible corrosion from harsh fluids in caustic environments. Thermex offers both dual chamber and single chamber Manifolds. Single chamber manifolds are used as coolant collection/diversion center. 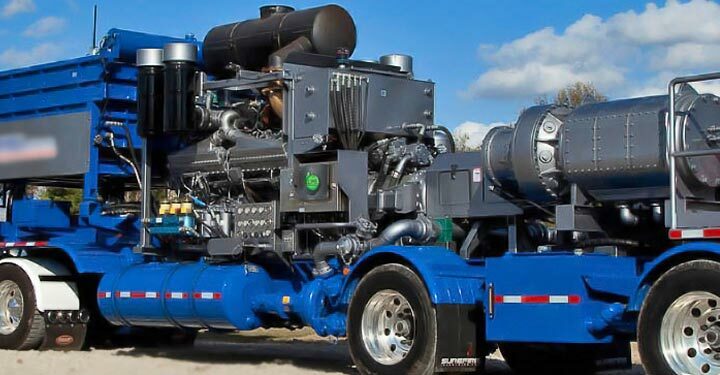 When multiple coolant ports are too small to provide an adequate amount of coolant flow, multiple loops can be connected up to the single chamber manifold to provide and maintain a consistent volume. Dual chamber manifolds are simply two single chamber manifolds attached, and are used whenever extensive ports are required, or when balancing of coolant flow is required on both the hot and cold sides of the loops.